With a team of highly qualified and enthusiastic teachers, teaching assistants and support at St. Mary’s, Manly we are able to benefit from a pool of talent both in and out of the classroom. Class sizes are relatively small, allowing teachers to offer for more care and attention to individuals in the classroom where they can vary their methods to suit all needs. With close to 35 years experience in Catholic schools and qualifications that include a Masters of Education, Paul is a very committed Catholic educator within the Broken Bay Diocese. 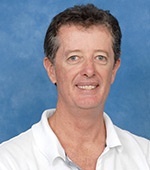 Prior to joining St Mary’s Manly, Paul served as the Principal of St. Martin de Porres Catholic School, Davidson and before that spent several years as Assistant Principal at Sacred Heart, Mona Vale and Our Lady of Good Counsel, Forestville. He is an active member of The Lakes Parish, where he is Eucharistic Minister to the Sick and at Manly Freshwater Parish where he is a Parish Council member. 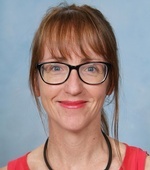 Alicia van der Merwe grew up on the Northern Beaches of Sydney and after attending the Australian Catholic University, began her teaching career on the North Shore of Sydney. Alicia then moved to London, England and after casually teaching in numerous schools, was permanently appointed to St Mary and St Michael’s Catholic Primary School, a challenging inner city school in East London. 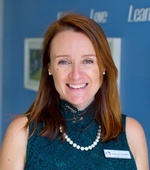 This appointment allowed for a wide range of leadership experiences including Literacy Coordinator, Stage Leader, and Arts Coordinator and Alicia was ultimately promoted to Assistant Head teacher. On returning to Sydney, Alicia was appointed as a classroom teacher at St Kieran’s, Manly Vale where she then went on to become the Religious Education Coordinator for 4 ½ years. Her postgraduate studies include a Masters of Theology in Religious Education and a Masters of Educational Leadership. Sharon is an active member of the North Harbour Parish. Sharon grew up in London and started her working life in retail banking in the UK. When she came to Australia she worked in a corporate Sales and Marketing environment for many years and managed a busy call centre before she decided to train as a teacher and work in the Catholic School system. Sharon has a Bachelor of Early Childhood teaching from Macquarie University and a Masters of Theology from Newcastle, NSW. She has worked as a classroom teacher for many years and started her role as R.E.C. in September 2014 in an acting capacity. In September 2015, she gained the role as our permanent R.E.C. Through her enthusiasm and love of her faith and the school community, she has focused on bringing the parish and school communities closer.